The LTEN Annual Conference is the world's largest annual conference and exhibition for life sciences training professionals. This year's event will take place June 3-6, 2019 at the Gaylord Texan and brings together the largest community of life sciences professionals in the pharmaceutical, medical device, diagnostics and biotechnology space. 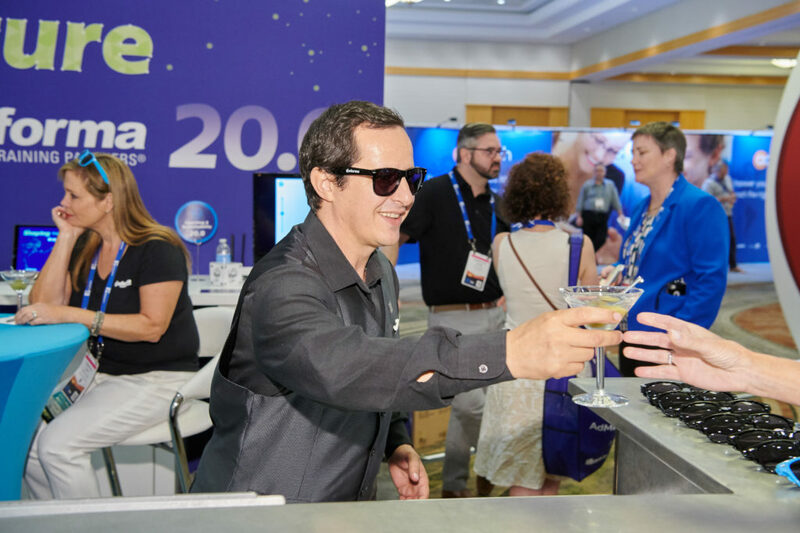 The event features more than 70+ workshops spanning 14 learning content tracks, nearly 40 micro-learning Labs, daily keynote speakers, networking receptions and 70 of the nation's top training suppliers. To learn more and find complete event details, please visit www.LTENconference.com. For groups of 6 or more, LTEN will offer a 5% discount for all registrants. If you are interested in group or rates, please contact Miki White in the LTEN Business Office at mwhite@l-ten.org or (540) 725-3859 to receive your Promotional Discount Code. Please note that registration does not include hotel accommodations. For hotel information and reservations, click here. New to LTEN? New to the conference? Take a crash course on all things LTEN and make the most of your time at the event. 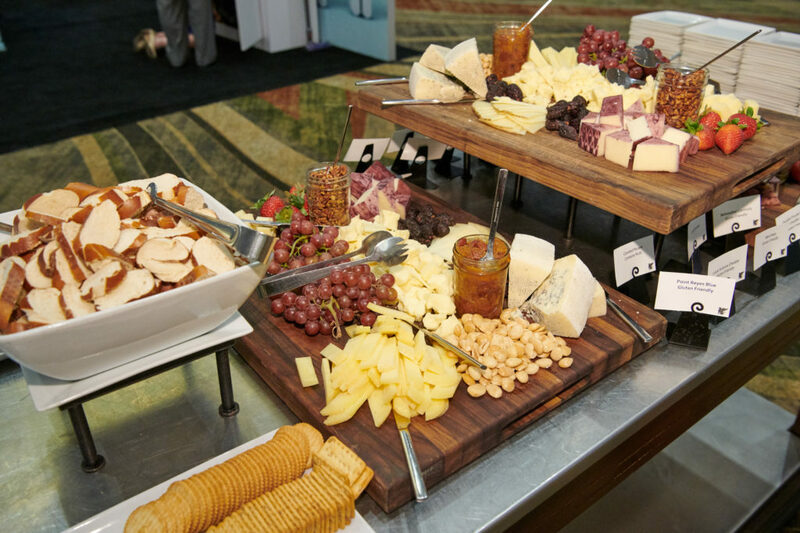 Join us for mixing 'n' mingling with peers and suppliers. We're serving up delicious delights and cocktails. Plus, exhibitors will be hosting specialty drinks and treats in their booths. Open to all. No need to RSVP. We will kick off the Networking Party with our annual charity team-building activity. A 21-year veteran of the United States Air Force, Colonel Nicole Malachowski (USAF, Ret.) wanted to fly military jets from the moment she saw them at her first air show when she was five years old. She achieved that goal - and then some. A leader, a combat veteran, the first woman pilot on the Thunderbirds Air Demonstration Squadron, an instructor, a White House Fellow, and an inductee into the Women in Aviation International Pioneer Hall of Fame, Nicole's Air Force career exceeded her wildest dreams. Col. Malachowki will her experience facing overwhelming challenges and adversity and how she rose above. When Nicole's distinguished military career was cut short by a neurological tick-borne illness that, at its worst, left her unable to walk safely or speak intelligibly, she overcame those challenges, as well. Help us honor the life sciences training leaders and innovators. We are rolling out the red carpet at this year’s awards ceremony and announcing the winners on center stage. See what award-winning ideas and training programs look like. Meet the LTEN Excellence award finalists and winners as they put their work on display in a Poster Session. Posters will be available during the refreshment break and the duration of the morning. Founder and Chief Movement Officer of Luminate Labs, Seth advises many of the world’s leading brand and organizations on the key shifts happening around talent management, change and innovation, leadership, and the future of work. The Learning Village Exhibit Hall is the hub of activity. LTEN attendees will gather in the hall to eat, meet and explore. Come with your toughest challenges and new projects in hand and let the exhibiting training partners demonstrate how they can help you meet your objectives head-on. The LTEN exhibitors are some of the industry's best and most-innovative. Getting in on Monday and looking for a good time? Wet your whistle from 4:30-7PM in the Learning Village Exhibit Hall, where you can grab a snack and a cocktail (or three 😉). It's totally FREE and seven of the exhibitors are sponsoring specialty bars. No need to RSVP, just pop in! Use this time to meet up with colleagues, preview all of the impressive training partners and get a jump start on the Conference! All Life Sciences Trainers & Educators Network (LTEN) event registration cancellation, transfer, refund, and/or voucher requests must be received in writing by LTEN ten business days prior to the start of the event. LTEN will issue a full refund for cancellations received in writing ten business days prior to the event less a $250 administrative fee. LTEN also offers the option to transfer the registration to a co‐worker at any time, or receive a voucher to attend another LTEN event. Vouchers will remain valid for one year from the issue date. Nine business days prior to the event LTEN will issue a refund of $500 for cancellations requests not interested in obtaining a transfer or a voucher. No refunds, credit vouchers, or transfers will be issued for no‐shows, or for those LTEN did not receive written requests to alter their registration prior to the day of the event. This includes cancellations due to weather, travel delays, or other causes. LTEN recommends that registrants allow for unexpected delays when making travel plans. To receive a refund or voucher, please email your request to Christine Gaudet at cgaudet@L-TEN.org. Have a question about LTEN, member benefits and resources, or just need a hug? We’re happy to help and are here for you. Email us at info@L-TEN.org or call our Business Office to speak with Miki White at (540) 725-3859. You can also find answers online at www.LTENconference.com.